Welcome to the website of the «Ichilov» clinic, in the Department of International Medical Tourism, located at the Tel Aviv Medical «Center of Soraska» and «Ihilov Hospital». «Ichilov site» offers to the foreign patients the whole range of treatment, which has a private clinic «Ichilov» and hospital «Ichilov-Soraski». We specifically work to provide high quality services for foreign patients who have come to Israel for medical care. Every day, in our clinic «Ichilov», come hundreds patients of Israelis. They want to get high-quality medical care, which are not available nowhere. Hundreds of foreign patients come to us every month from Russia, Ukraine and other countries, through the application on the site of the «Ichilov» clinic. 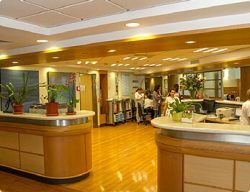 On the «Ichilov» site, you immediately find yourself in the International Department of the «Ichilov» Clinic, in Israel. After the preliminary stage, each of our patients begins treatment with the senior coordinator, the head of the diagnostic department, Dr. Inna Molchanova. In close cooperation with the department there are several dozens of specialists of the clinic, professors and heads of specialized departments of the hospital «Ichilov». As the leading private clinic of deep complex diagnostics, we organize high-quality examination and treatment, surgical operations, practically, across the whole spectrum of diseases. We can provide the patient with not standard, high level of care, rehabilitation and any VIP-services. Administration of the International Department of «Ichilov» Clinic in Israel. Phone: +972-772201372 (Israel) or +7-499-350-1227 (Russia), ask the administrator. To this phone you can call from 11.00 to 19.00 from Sunday to Thursday Moscow time in the winter time, and from 10.00 to 18.00 in summer time.